Unstoppable is one of my favourite films. It is a perfect example of a simple plot, done very well – and it’s based on a true story. The premise is, there’s a runaway train, it’s cargo is full of chemicals and people have to figure out how to stop it before it travels into and derails in a built up, residential area. 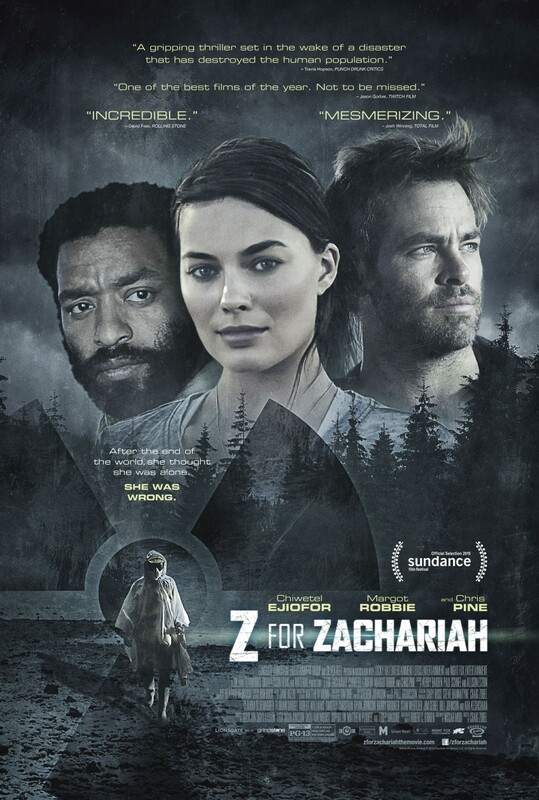 The two guys who are on the tracks and closest to the train are experienced driver Frank (Denzel Washington) and the rookie Will (Chris Pine) and they decide to go after the runaway train. They have brilliant chemistry and feel like two normal guys, who might have their problems but they’re still good guys. The thing I love most about this film is Connie (Rosario Dawson). She works for the train company and she’s the only “suit” that talks sense, doesn’t care about profit margins and just cares about keeping people safe. She’s smart, capable and keeps her head in a crisis. She’s the one to trust Frank and Will and to keep them in the loop with what the police and everyone else are doing to try and stop the train. 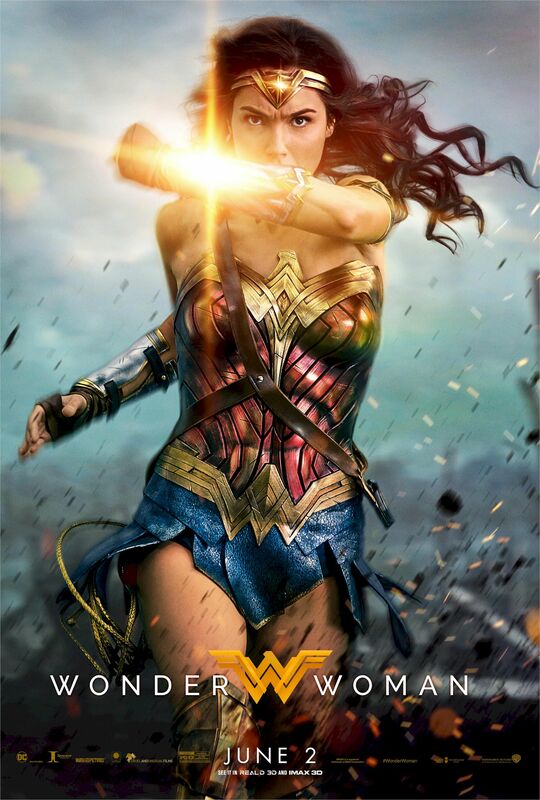 She’s one of my favourite characters in recent films – I hope to keep that cool if I’m ever presented with a crisis even half as huge as the one she has to deal with. 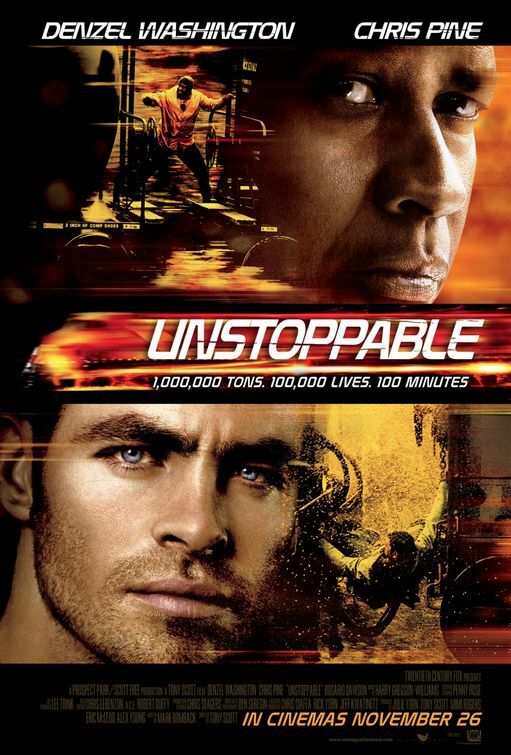 Unstoppable is one of those films where I get really excited and am almost bouncing in my seat as I watch even though I know what’s going to happen. It’s a great story about ordinary people trying to do the right thing, to help protect others even if it might not turn out so well for them. If you haven’t seen it, I definitely recommend it. When responding to a distress signal in the far reaches of uncharted space, the crew of the USS Enterprise a drawn into a trap by the ruthless and mysterious Krall (Idris Elba). Stranded on a barren planet, Captain Kirk (Chris Pine) and his crew must work together to find a way to save the universe. What Star Trek Beyond gets really right, is the characters. The crew of the Starship Enterprise are supposed to be like a family and that really comes through here. 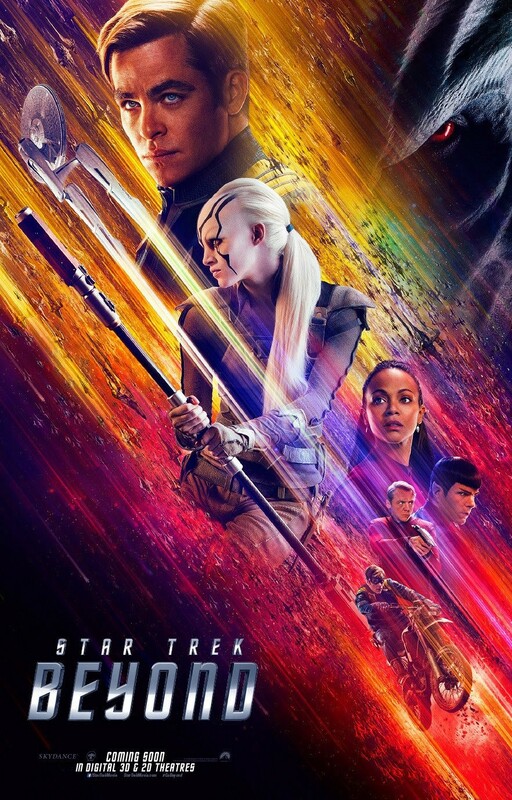 It helps that unlike the previous two Star Trek films where they were primarily focused on the relationship between Kirk and Spock (Zachary Quinto), this time they and the rest of the crew are split up into teams that you don’t normally see. It’s a clever move by script writers Simon Pegg and Doug Jung as it allows the film to explore different character dynamics and still gives each character time to shine. When Scotty (Simon Pegg) ends up stranded, he meets Jaylah (Sofia Boutella), someone who has also been stranded and is fighting to survive. Jaylah is a brilliant character. She’s a badass, she’s funny and she’s also really interesting. She fits in well with the crew of the Enterprise and while she may be a new character, there is neither too much focus on her nor is she pushed into the background. One of the best character dynamics presented in Star Trek Beyond is that of Bones (Karl Urban) and Spock. They must work together and you see how their personalities clash but they still respect each other. Both Urban and Quinto are funny and give great performances. While Chekov (Anton Yelchin), Uhura (Zoe Saldana) and Sulu (John Cho) may have less to do than their crewmates, they all still shine and have a moment or two of awesomeness. To be honest, one of the best things about the rebooted Star Trek movies is the casting – it has been spot on and each actor brings a lot to their role even when the script doesn’t give them so much. The script really is great as it combines action, humour and the heart of Star Trek which is hope and unity. There’s never a dull moment in Star Trek Beyond because the film starts right in the middle of a mission and from there there’s always something happening. Justin Lin does a great job directing. He has proved with his outings as director of four of the Fast & Furious films that he can handle action sequences but with Star Trek Beyond there are also quieter moments where the camera barely moves at all. Plus, like the Fast & Furious franchise Star Trek, in amongst the explosions and death-defying situations it really is all about family. Krall is an interesting villain. He’s foreboding yet pretty mysterious throughout most of the film but when his motivations become clear it offers another layer to his character and everything he has said and done previously makes even more sense. Idris Elba is two of the most threatening and potentially scary villains this year, Krall and Shere Khan in The Jungle Book, and both times you don’t really see his face. That’s some acting. Star Trek Beyond was truly wonderful. Full of action, humour and brilliant character moments. It is definitely one of the better Star Trek films, not just in the rebooted series but including the previous ten Star Trek films as well. 5/5.